I enjoyed this episode during a run. I loved the phrase "... chain of rank tarnished where it touched his skin." I didn't see the twist coming, but that phrase told me "this guy's irredeemable and toxic." What a great story! 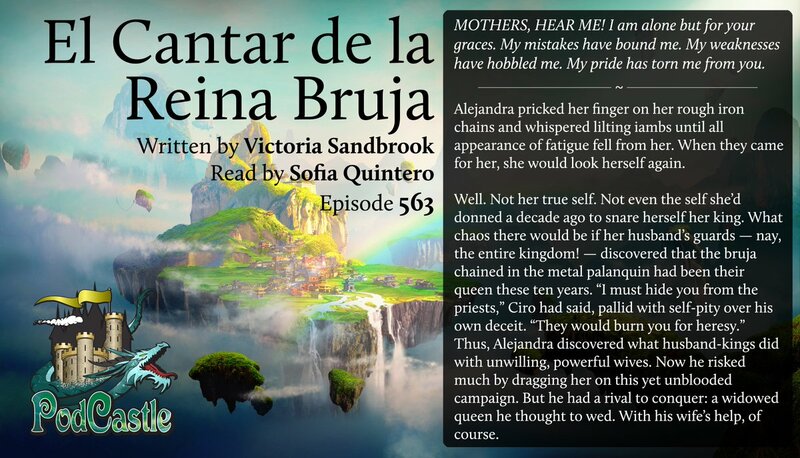 I loved the sound of the story: the reading as well as the language and rhythm, and the point of view: Alejandra calling to her mothers, the bards remembering the events, the narrator speaking to the listener. I was most intrigued that after Ciro's "trial and death...His usefulness has not yet waned."